The 50D was launched in August 2008 and was quite a jump from the 10.1MP of the 40D. After waiting years for an update of the 30D, the 40D only lasted a year as top of the XXD range. The rear screen is also of a much higher resolution than its predecessor. Now superceded by EOS 60D – which, unlike the 50D, lacks AF microadjustment. Changes Firmware Version 1.0.8 incorporates the following improvements and fixes. 1. Improves the writing/reading speeds when using UDMA 7-compatible CF cards. Firmware Version 1.0.7 incorporates the following changes. Corrects a phenomenon where captured images may tend to appear somewhat magenta depending on the shooting scene. 19th There have been numerous comments about aspects of 50D AF performance, and it appears (from an article in a Japanese magazine) that althought the AF sensor is different, it uses developments in the 1D3 AF algorithms, developed after the 1D3 launch. 22nd A cashback scheme for the 50D in Japan. Most likely to move inventory, rather than suggest that a replacement is close. 24th Some suggestions [DPR] that the firmware does indeed help with general image quality. Firmware Version 1.0.6 is for cameras with firmware up to Version 1.0.5. 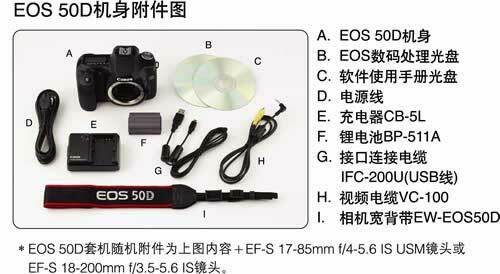 If the camera’s firmware is already Version 1.0.6, it is not necessary to update the firmware. In addition, Firmware Version 1.0.5 has already been incorporated with improvements to support the AF assist beam feature of Speedlite 270 EX and change the error indications that are displayed on the camera. When updating to Firmware Version 1.0.6, please also update the Digital Photo Professional, Picture Style Editor, ZoomBrowser EX, and ImageBrowser software to the following versions or later. For details, please refer to the Firmware Q&A section. 15th A firmware update could be on its way. A recently repaired 50D was returned with V1.0.6 installed [DPR]. See also 2nd mention at DPR. 1st An interesting article with suggested Bird photography settings from Arthur Morris, also some of his shots of an Osprey showing good AF. > Article link added above. 31st HM article added above – I’ve always been interested to hear Harold’s thoughts on digital technologies. His articles on the view camera (tilt and shift) and depth of field are well worth reading. 18th There are more reports of third party flashes not working with the 50D and 5D2 – Sigma and SunPak are saying there will be firmware updates available to fix this for some models. 17th White paper link added above. 9th I was reminded that the new DPP update includes Auto Lighting Optimizer and Lens Aberration Correction. I’ve added some updates to the reviews above. 17th Canon has released a version of DPP (V3.5.1) that supports the 5D Mk2 and amongst other things, supports luminance noise reduction for sRAW images taken with the EOS 5D Mark II and EOS 50D. 28th New firmware (V1.0.3) amongst other things, fixes a 50D “Err 99” problem. 2nd The ‘Face Detect’ Video mentioned above has gone – if anyone sees it anywhere else, please do let us know? 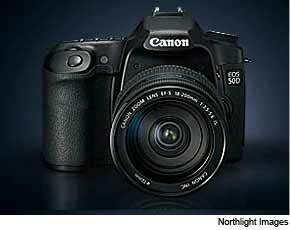 30th Roland Lim just sent us his comprehensive review of the 50D. As ever Roland concentrates more on what the camera is like to use rather than the more technical DPR format. 20th Some UK dealers are suggesting that they already have stock of the 50D, and early deliveries are expected this weekend. It looks though as if the first deliveries are largely kits, with body only packs being somewhat delayed. 3rd – Want a good ‘standard’ lens for those 15MP? Looks like a new 35L lens before long. 2nd Price dropping already? I hear from Norway (thanks) that the 50D price advertised, has dropped since introduction [NOK ~12,600 to ~10,000] – given D90 pricing we may yet see some movement on this before the usual two month drop? Whilst the basic AF system is similar to the 40D, the additional processing power of the Digic IV processor makes it quicker to respond. The addition of AF Microadjustment is well received. 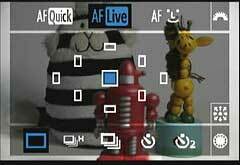 The AF functionality in liveview mode makes use of this power in the face recognition AF option. If I see any detailed tests of AF functionality, I’ll add them to the links and info section at the top of the page. 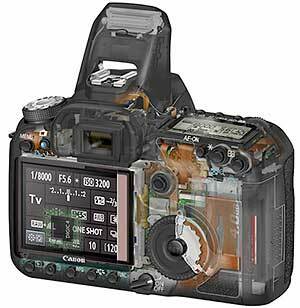 27th We’ve just posted a collection of Canon technical info we received, on the 5D2 page. No real surprises there. Widely leaked, so that everyone was expecting it. I’ve seen it priced at 1300 euro (Germany), NOK 12599 (Norway) or in ‘rip-off’ Britain £1200, or according to the US price below $1400 – guess we’ll be seeing a lot of people picking up one in the US when visiting ;-) Thanks everyone for sending in price info! ‘Calling the 50D the “big brother” to the 10.1 MP 40D which was released just over a year ago, Westfall said the older camera would remain on shelves until the end of the year for a list price of $1099, body only. “Despite the fact that the pixels are smaller and one camera has a 10.1 MP sensor and the other has a 15.1 MP sensor, you’d think you’d have more noise but you have less,” he said. “The end result is better image quality all around which allows us to extend the ISO range to 12800. The 50D is able to achieve this because of new “gapless microlenses” on the image sensor which capture more light and generate less noise. “It’s the further evolution of a concept we’ve already explored. It’s gotten to the point where the microlenses are totally gapless and larger which produces the best efficency on a per pixel basis. Consequently the light senstiviy portion of the pixel has increased while the non-light sensitive protion of the pixel has been shrunk down,” he said. With much discussion over Canon’s AF performance, expect this to be hotly debated as the camera (and anything else with Digic IV) appears. What’s more, the universally derided ‘Print Button’ finally has another use! LAKE SUCCESS, N.Y., August 26, 2008 – With the demand for digital SLR cameras reaching unprecedented levels, Canon U.S.A., Inc., a leader in digital imaging, is answering the call with the announcement of the next evolution in advanced amateur digital SLR photography, the EOS 50D Digital SLR Camera with 15.1 megapixel resolution and Canon’s new DIGIC 4 image processor. Designed to offer extraordinary quality and image control for the advanced photographer with a passion for the art, the Canon EOS 50D Digital SLR camera includes an expanded ISO range, improved noise reduction, and in-camera photo editing features. Canon has loaded the EOS 50D camera with a number of enhancements and some trickle-down technology from Canon’s professional Digital SLR cameras, as well as a new Creative Auto Mode (CA) that gives users more creative flexibility to make image setting adjustments conveniently without the need to be a photo expert. Canon has built upon the success of the popular EOS 40D model – which will remain in Canon’s line – with the EOS 50D Digital SLR camera. Expected to be the camera body of choice for advanced amateur photographers this holiday season, the Canon EOS 50D Digital SLR camera carries over the EOS 40D’s 14-bit Analog-to-Digital conversion process for smooth tones, and also includes enhanced noise reduction, especially at higher ISO ranges which will help bring those romantic nighttime shots into greater focus and clarity. Capable of shooting 6.3 frames per second (fps), the EOS 50D Digital SLR camera is ideal for shooting everything from beautiful night landscapes to fast-action sports. “Advanced amateur photographers blur the line between the hobbyist and the professional, looking for professional features and capabilities in their equipment that will allow them to capture that awe-inspiring image. Canon is constantly striving to provide these shooters with the most advanced imaging technology, like the new EOS 50D Digital SLR camera, to fuel their passion for photography, and help them achieve their creative potential,” stated Yuichi Ishizuka, senior vice president and general manager, Consumer Imaging Group, Canon U.S.A. 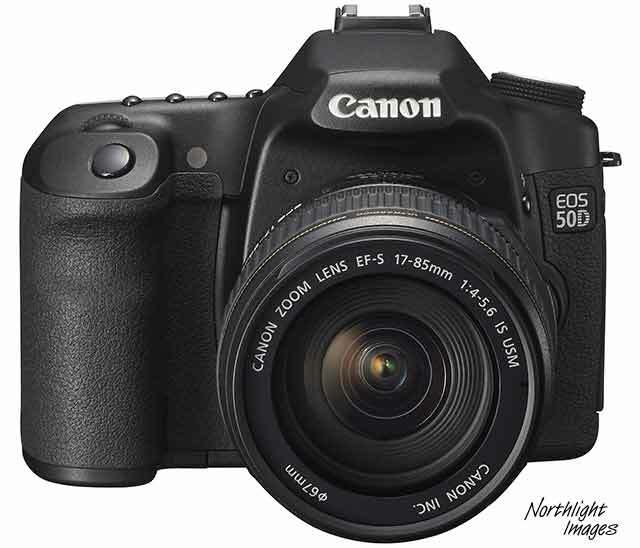 The Canon EOS 50D camera provides ISO speeds from ISO 100 up to ISO 3200 in 1/3-stop increments, along with two high-speed settings – H1 and H2 – of ISO 6400 and ISO 12800, respectively. Along with a wide ISO range, Canon gives shooters more tools to help maximize clarity and colour. The EOS 50D Digital SLR camera offers multiple levels of noise reduction during high-speed shooting. Users can choose from one of four settings– Standard/Weak/Strong/None – to help reduce digital noise that can result from poor lighting conditions. Helping to ensure each picture’s subject is clearly visible, Canon’s enhanced Auto Lighting Optimizer analyzes the brightness of subjects and automatically adjusts dark images so that they appear brighter, perfect for subjects in shade or in backlit situations. The Auto Lighting Optimizer on the EOS 50D Digital SLR camera has been updated not only to optimize images while they are being taken, but can also optimize images post-capture, during playback, to help ensure the subject of each image does not appear too dark. This is especially helpful when an amateur photographer uses the camera, because post-capture enhancement can help maximize image quality without the need of a computer. A significant upgrade to the Canon EOS 50D camera is its large, clear 3.0-inch Clear View LCD screen which features 920,000 dot/VGA resolution, four times the pixel count of the EOS 40D camera’s screen, for better clarity and colour. To help show off those fantastic shots, the EOS 50D camera includes an HDMI (High-Definition Multimedia Interface) output to display crisp, clear images on a High-Definition TV. The EOS 50D recognizes the needs of today’s photographers, and the faster processing speed of the DIGIC 4 processor helps support UDMA cards for faster writing of image files. The camera is also equipped with a high-performance viewfinder featuring 0.95x magnification and the same high-performance Autofocus (AF) system as the EOS 40D camera with nine cross-type sensors for accurate target subject acquisition with lenses possessing maximum apertures of f/5.6 or faster and a high-precision diagonal center cross-type AF point that’s effective with f/2.8 and faster lenses, helping photographers ensure better focus of their targets. The AF Microadjustment feature, originally introduced last year with the Canon EOS-1D Mark III professional digital SLR camera, has also been added to the EOS 50D for maximum control over focusing precision. Canon is taking steps to give advanced amateurs more flexibility with a new “CA” Creative Full Auto setting on the EOS 50D Digital SLR camera’s mode dial. 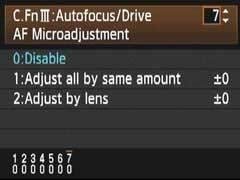 This new setting goes a step beyond Full Auto, by allowing users to make adjustments before shooting while still in an Automatic mode, without needing to know the meaning of technical terms such as aperture, shutter speed, etc. In this mode, the camera menu on the back screen spells out options in common language for average photo enthusiasts, allowing them to “blur the background” or “lighten or darken the image.” These easy-to-comprehend image options will help amateur photographers improve the shots they are capable of taking, while helping them learn new techniques. When in the new CA mode, users will be able to adjust flash settings, brighten or darken images, blur the background, set the camera’s drive mode, and select a picture style directly on the camera’s LCD screen. For photographers who prefer to frame their shots using the camera’s 3.0-inch Clear View LCD screen, Canon has improved the Live View function of the EOS 50D Digital SLR camera to include “Quick Mode AF,” “Live Mode AF,” and “Face Detection Live Mode AF” that detects up to 35 individual forward-looking faces for better focus and clarity when taking group or portrait shots. The camera’s Quick Mode AF setting flips the mirror down and carries out regular phase-detection autofocus, while the Live Mode AF and Face Detection Live Mode AF use the camera’s CMOS image sensor for contrast detection autofocus. Two detailed grid displays have also been added to Live View shooting as optional settings for easier composition. In addition to the RAW and JPEG image capture modes that photographers are accustomed to, the EOS 50D Digital SLR camera now offers more manageable resolution settings and file sizes with two sRAW recording formats, sRAW1 and sRAW2. At the sRAW1 setting, resolution is 7.1 megapixels with a file size that is approximately 25 percent smaller than a standard 15.1 megapixel RAW image. With the sRAW2 setting, resolution is 3.8 megapixels at less than half the file size of a standard RAW image, retaining all of the flexibility and creative possibilities associated with full-size, conventional RAW images. The EOS 50D is the first Canon Digital SLR that allows the use of RAW and sRAW settings in Basic Zone as well as Creative Zone shooting modes, even further improving the camera’s flexibility. The Self-Cleaning Sensor Unit for the Canon EOS 50D has also been upgraded and now includes a fluorine coating on the low-pass filter for better dust resistance. The Self-Cleaning Sensor Unit uses ultrasonic vibrations to shake dust particles off of the low-pass filter in front of the sensor each time the camera is powered up or shut down. The second part of the system includes a software component where sensor spots are mapped and saved as Dust Delete Data that is attached to the image file for removal during post processing using Canon’s DPP software. The EOS 50D is compatible with the full lineup of Canon EF lenses as well as the Company’s ever-growing line of affordable EF-S lenses created specifically for Canon Digital SLRs with APS-C size image sensors. 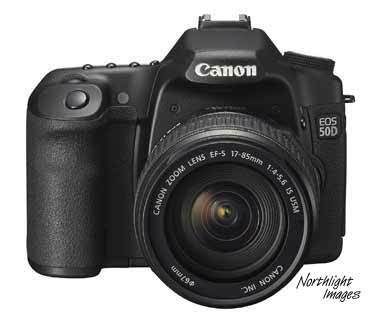 The Canon EOS 50D Digital SLR camera is scheduled for October delivery and will be sold in a body-only configuration at an estimated selling price of $1,399.00*. It will additionally be offered in a kit version with Canon’s EF 28-135mm f/3.5-5.6 IS USM zoom lens at an estimated selling price of $1,599.00*. Canon has answered the call from advanced amateur photographers looking for a solid all-around lens with the introduction of the new EF-S 18-200mm f/3.5-5.6 IS zoom lens. With an incredible focal length range equivalent to 29-320mm in the 35mm format, the new EF-S 18-200mm lens will make an excellent addition to any camera bag, and it gives shooters a great lens to capture both standard as well as telephoto images. The new lens features Canon’s built in Optical Image Stabilization system which gives the equivalent effect of a shutter speed roughly 4 steps faster, for better image clarity, even in shaky shooting conditions. With a minimum focusing distance of 0.45m/1.5 ft. at all zoom settings, this new lens should prove to be ideal for those situations where swapping lenses isn’t an option. An ideal complement to the EOS 50D SLR camera and all other EF-S compatible EOS SLR cameras, the EF-S 18-200mm f/3.5-5.6 IS lens is scheduled to be in stores this October at an estimated selling price of $699.00*. Sensitivity ISO 100 to 3200, extendable to H1 (6400) and H2 (12800). ISO 100 to 1600, extendable to 3200. A run through Google’s translation service shows that at 15.1MP it is at 6.3 FPS (150k shutter), has HDMI, 12800 max ISO, a VGA display and Digic IV gets an outing. There are sample images (see above) on the site too. The 1600 ISO one of the car is very nice. There is a big screen at the back too. There were suggestions of ‘in camera’ IS for wide angle lenses [screen grab of translation]. Just remember that whatever you see is translated from the briefly visible Chinese pages, so may have a lot of variability – there is nothing in the specs about the IS, and this is now believed not to be present. Anyway, here are the full specs from the translated page. Continuous speed: High-speed: up to about 6.3 frames / sec. Low: up to about 3 frames/ sec. 23 ° C / 73 ° F at about 640, 0 ° C/32 ° F at about 540. 23 ° C / 73 ° F at about 170, 0 ° C/32 ° F at about 130. The Nikon D90 is now appearing with 18-200VR lens, as a ‘place holder’ on several dealers’ sites. 20th The Dutch Canon site has announced a new series of workshops for buyers of the 450D, 40D and 5D. Runs until Jan 1st 2009. Also in an update to the UK rebate scheme, we hear that at the end of the first month, it may turn into a price cut or be continued. There is also a report [CR] that the 40D is supposedly current until the end of the year. 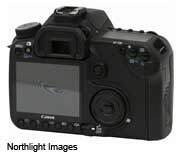 19th In an interesting slant on the ’50D’ noises we’re hearing, there is also talk of a rebate scheme being offered on the 40D, starting later this week – but only initially running for a month? How about no new cameras this month and (at least) 2 new ones for Photokina? 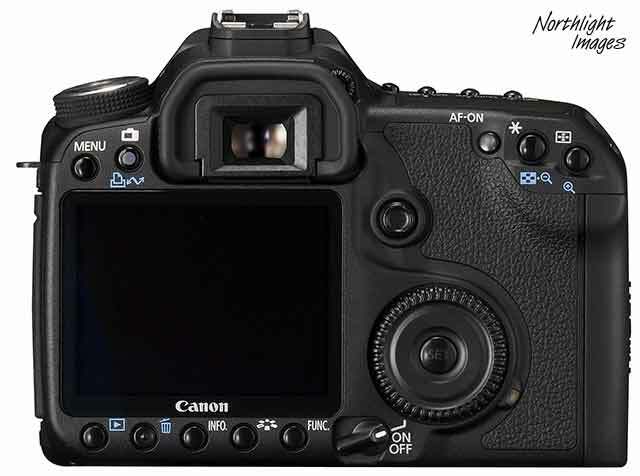 Another 50D/’5D2′ thread on DPR says 15MP 50D soon and the 5D replacement for September. Typo – should be 17-85 below. Body only:150000 Yen, With 17 – 65 85 200000 Yen, With 18-200 220000 Yen, 18-200 lens 80000 Yen. Digic IV will be used in the upcoming IXUS but not on 50D. 15th Several reports of a Canon sales meeting in Hawaii [DPR] and the 50D out later this month, but the 5D2 for Photokina – 23/9 to 28/9 Last year the 40D and 1Ds3 were both announced on the 20th Aug.
That FM thread from a few days ago is still going strong. 12th More news [FM] suggesting that an 18-200 EF-s lens (f3.5 to 5.6 and with IS USM) is to be announced for Photokina. With some suggestions of a 50D to go with it? It also adds that Canon is a bit surprised that the 40D doesn’t sell so well against the D300. There is also the suggestion of a 12MP 50D with AF-ON button and a new grip. However on FM, I noticed (half way down) a suggestion that the 40D was current for the rest of the year. 40D AF performance is not exactly praised by Rob Galbraith in the latest installment of his 1D3 and 1Ds3 AF testing saga, but it is being compared to the 1D3, which is pretty good after all (even with various foibles). July 31st Tomorrow or Monday? Both suggested dates for Canon’s next announcement (before the Olympics). The other info suggested two cameras – one single digit, and one double digit… Full frame 50D anyone? ;-) This from a reader and regular contributor (thanks) watching various Chinese forums. 25th Lots more reports of price drops for the 40D, although not many I’ve seen in the UK. Is a 50D on the way with a sensor upgrade (12 or 14MP) or is it, as I’ve heard suggested, to make way for a ‘cheap’ FF 7D or 50D. It seems [CR] that Best Buy may be listing the 40D as EOL in October. Appreciably better noise performance than the 450D sensor. Live view with Phase and Contrast AF. Whilst I’ve been sent various info on the new sensor developments, the only line that was slated for potentially moving to annual updates was the bottom end of the DSLR range. 17th Quite a bit more chatter about the imminent demise of the 40D, although looking at the release history points to an early 2009 announcement. The UK price for the 40D is now around the £600 mark with the 450D at £400 and the 5D at £1200, 1D3 at £2400 and 1Ds3 at £4600. 26th January A 40D update already? Since Canon have just announced the 12MP 450D and not an update to the venerable 5D, a lot of people are still hoping for something else at PMA next week. In yet more “We’ve seen a bar code, so it must be true” news, a Chinese site is mentioning both the 70D and 320D. It also manages to work in some (wrong) info from the Swedish Canon interview (5D2 page) suggesting that the cameras will be part of an announcement on the 24th Jan (there is no actual mention of camera announcements in the original interview – the 24th date could just as well be a stack of copiers and printers ;-) That said, given that PMA is shortly afterwards, many -are- expecting a 5DMk2 and 450D. The full AF in live view and ISO 6400 as an H2 option could currently be done in firmware for the 40D, but doing this as a firmware upgrade would reduce the feature list of the 50D, although now there is real competition in the market this could change. Interestingly the reaction to the Pro Level AF and metering in the D300, and what appears in a D80X (or whatever) may do more to make the 50D a bigger advance over the 40D than might have been. The D300 is generally seen as marking a major change in the market. Canon and Nikon have retained their pro-level AF and exposure for their top line bodies, making that (and the extra size, ruggedness etc) a real distinguishing point. The Canon marketing point of view is that this was an inevitable part of competion and the same change is due in the xD series. 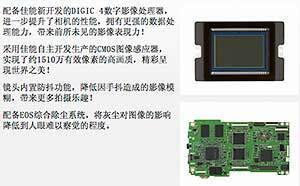 Will it include Digic 4 – will it finally move to a bigger sensor? What about in body IS? Will it be announced for PMA 2009? Sensor technology – Canon have mentioned that full frame sensor chips need two stepper passes. Sony now has the technology to do this in one pass and are preparing their own sensors and selling to them Nikon. However, Canon have a new ‘one pass’ technology too. What’s more, it can do even larger than 35mm (36x24mm) in a single pass. Canon is very excited about a next generation CMOS sensors they are working on. Two full frame versions have 40M and 50M pixels at the -same- noise level as the current 1D series. Low power supply voltages give cooler chips and lower noise even with smaller pixels. Different circuit fabrication techniques also promise to make close to 100% of the sensor area active pixels. This technology won’t make any of the upcoming models, but is expected in 2009/10. The competition – Canon were somewhat shocked by the success of the Nikon D80, D40 and D40X. Hence the ‘improved’ 40D and the improved 400D replacement in the works. Canon know what Nikon have coming (D300 and D3) and have planned the 40D, 1Ds III and 1D III as their answers. However Nikon is moving to CMOS sensors to over the next couple of years. Sony are moving CMOS to a near full frame (1.25 or so) and full (35mm) FF, so Canon is getting serious and starting to plan some aggressive upgrades. Sony worries Canon somewhat, since with their manufacturing capabilities, they could move the whole price base down for SLRs. So far they haven’t and their lens prices and range are not a worry for Canon. The current Sony Alpha has been less than astounding in the market. Moreover, Nikon have the camera credibility and certainly won’t stop with the D3 and D300. Their plans for the lower end (D40-D80 as well) are to replace them in much shorter timeframes than their previous 3-4 years. Nikon have moved emphasis from the low end ‘point and shoot’ digital into R&D on the DLSRs. They’ve found this to be 3-4 times as profitable (note Nikon’s record profits over last 12 months). Nikon is more than happy with trouncing Canon for the last 12 months in Japan (not so world wide). So the next 2-3 years will see a major DSLR feature ‘war’. IS Technology – This is being introduced in some of their consumer grade lenses. The technology has matured to the point that it can be added at only a small price premium. It gives product differentiation – a reaction to Sony and keeps them ahead of Nikon. Digic IV – Digic III just won’t cut it for the new high density sensors. Digic IV can deal with with the transfer rates for higher bit per pixel images. One Digic IV chip beats the two Digic III in the 1D3. 16 bit RAW – Canon’s target for their next generation of sensors is 16 bits per channel giving true HD quality. They are also looking at processing formats to retain that extra definition. ISO sensitivity – Canon see their next generation lower voltage CMOS as easily doing ISO6400, with a boost to 12800.